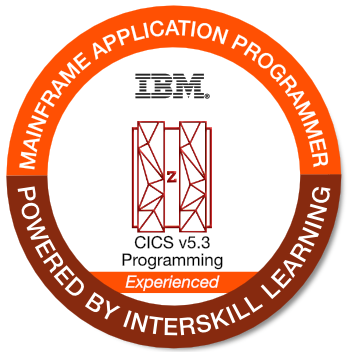 This badge holder can explain the CICS environment (component structure and communication methods) and describe how programs are written to incorporate CICS commands. This person is experienced in using CICS commands to access files, and create temporary and transient data. They can also use SDF II to build a Basic Mapping Support (BMS) map.